Phoenix Real Estate Agent Mary Ann Kren | Phoenix Condo Mania! Mary Ann was born in Princeton, New Jersey but after living in Arizona for 30 years, she considers the valley her home and knows it well. She started her successful real estate career in 2003, working for one of the top condo conversion companies in the area. She became a consistent top performer. Through her experience working on the developer side of condo sales and later through her drive to learn the resale market, Mary Ann gained extensive knowledge of the east valley real estate market. She makes her client's needs her top priority and believes every client deserves the best professional service. Mary Ann is hard working and energetic. Her knowledge base greatly helped us in purchasing a condo. I enjoy working with her and I recommend her heartily. ... Janet O. 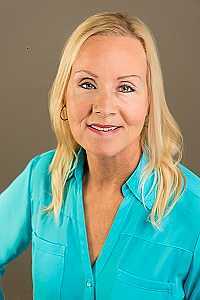 My husband and I recently sold our condo in Phoenix and we highly recommend Mary Ann Kren for your realtor. Mary Ann is devoted to her profession, easy to work with, always willing to discuss concerns, and quickly responds to questions. We have definitely referred Mary Ann to our family and friends. ... Lee and Barb S.